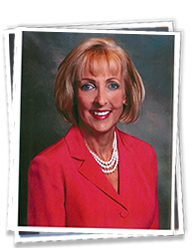 Dr. Debbie Green has been with Cone Health for 21 years and serves as President of Annie Penn Hospital & Behavioral Health Hospital. She has almost 38 years of experience in nursing leadership and received her Bachelor of Science in Nursing from West Virginia University, a Masters of Science in Nursing from the University of Virginia and a Doctorate of Nursing Practice from the University of Alabama. Green also holds a Post-Masters Certificate as an Adult/Gerontological Nurse Practitioner from the University of North Carolina at Greensboro. During her 7 year tenure as Vice President of Annie Penn Hospital, Green helped transform the hospital’s culture which has resulted in national leadership in patient, employee and physician engagement and dramatic increases in quality of care. As a result of her leadership, Green has helped Annie Penn Hospital become one of the best performing hospitals in the region, earning the 2013 and 2014 Guardian of Excellence Award from Press Ganey. Also in 2013, Annie Penn Hospital achieved the Top Hospital designation by The Leapfrog Group, an award the hospital received for having exceptional clinical safety. Green has spoken on national and local levels, most recently presenting at the Press Ganey National Conference in Washington, D.C. In 2013, Green was selected as a Robert Woods Johnson Foundation Executive Nurse Fellow, an honor she shares with only 10 other colleagues from around the country. Green has published a number of articles and is very involved in the local community.